This is the photo Martini had. I give him credit. Also, I wanted to make sure people could link the two articles. Also, how many people actually read image captions? Show of hands? Some of you know there’s been a bit of a brouhaha over the issue of sanctification in online Reformed circles in the last couple of months. It’s what led to the departure of Tullian Tchividjian (henceforth TT, because who can spell that?) from TGC and other unfortunate online ugliness. Basically, the dispute was surrounding a number of issues like, what role the law continues to have in the life of the believer?, or how necessary is obedience after conversion?, should we focus on obeying or getting used to our justification, and stuff on that order. Kevin DeYoung’s summary article “What We All Agree on, and What We (Probably) Don’t, In This Sanctification Debate” is probably the best orientation to the subject. Also, his follow-up piece “The Grace that Saves Is The Grace That Leads You Home.” Also, the Mere Fidelity boys and I chatted on the subject about a month ago as well. Well, recently Gabe Martini gave what he called an “Orthodox Commentary“, as in Eastern Orthodox, on the whole debate. He opened up with a lengthy, decently fair-handed summary of the dispute between the two sides, and then offered up a sort of Orthodox alternative. Essentially, Westerners of all stripes, and especially Protestants, have their categories all goofed up because of their fixation on ‘legalistic’ concepts of merit, earning, judgment, and so forth. Because of that, there’s a tendency to swing back and forth between moralism/legalism to the tendency to question whether obedience is required at all. Instead, with the Orthodox, we should see that it is indeed required, but we need to think through the basic form that obedience takes: repentance. And for Orthodox Christians, that life of obedience is a life of true repentance. One where even the holiest saints end their lives with sorrow: the apostle Paul as the “chief” of sinners, and St. Sisoes the Great who desired yet another day to repent. Through repentance we cooperate with God in our transforming sanctification leading unto the deification of looking like Christ. I won’t summarize it all. Again, you can go read it here. I have to say, all in all, I appreciated the article. Martini was remarkably fair, which is not something I see a lot from Eastern criticisms of Protestants/Western theology. What’s more, for reasons that will become clear shortly, his call to repentance was, mostly, something I could get behind. Still, I had a couple of Reformed caveats and clarifications I’d like to offer up, for the sake of mutual up-building and understanding. The first comment I’ll make, and it’s really the biggest, is to note the surprising absence of any discussion of the doctrine of ‘union with Christ’ in Martini’s article. Actually, it’s both surprising and not surprising. On the one hand, it’s not surprising because in many popular discussions of Evangelical and Protestant understandings of salvation, it’s been ignored for the last 50+ years. To some degree, when I see a non-Protestant ignore it, well, so many Protestants have that it’s hard to blame them. That said, the doctrine of union with Christ is arguably the heart of a Reformed doctrine of salvation (including both justification and sanctification) dating back to Calvin himself, through Berkhof (whom Martini quotes), all the way through modern treatments like those of J. Todd Billings, Marcus Johnson, Robert Letham, or Michael Horton (all of whom have released titles on the subject in the last 7 years). You can’t, therefore, talk about the problem with Protestant approaches to salvation without dealing with it. It’d be like talking about omelettes without mentioning eggs. Beyond that, it was explicitly at the heart of so many of the TGC/TT debates, so that if you’re going to comment on them, it seems like a big absence. Union with Christ, then, does a lot of work in the Reformed (and Pauline) view of salvation, and it’s the answer to a number of Martini’s critiques. For one thing, Martini talks about the place that double-imputation plays in the Protestant system (Christ is reckoned as sinner in our place and we are reckoned as righteous because of him), but, because he doesn’t note that union with Christ is the structure underlying traditional formulations of double-imputation, he resorts to the old charge of calling it a ‘legal fiction.’ What he misses is that in Reformed thought Christ takes responsibility for our sin on the cross as our covenant head and representative, and can really do so, because through faith we are united to him in that kind of relationship. What’s more, we can be included in his righteous status because, through union, we really are part of his body, his people. As N.T. Wright says, in biblical thought, what is true of a king is true of his people–therefore, what is true of Messiah (Christ) is true of the people united to him. There’s more to say there, but I’ll leave it at that. So, ya, union with Christ is massively necessary to the discussion. Passages like that could be multiplied ad nauseum in Calvin. I mean, he was the theologian of the Holy Spirit. That some of his heirs may have forgotten this emphasis, doesn’t change the fact that this sort of thing is deeply-rooted at the heart of Reformed spirituality. In conclusion, I know I haven’t addressed the ‘legalistic’ charge. I may some time in the future because I think it largely without merit (Eh? See what I did there?). Still, I guess what I’d like to say is, Gabe, while we probably have some major disputes about merit, grace, atonement, and so forth (and that’s okay, I forgive you), when it comes to repentance and sanctification, we’re actually not as far off as you seem to think we are. P.S. 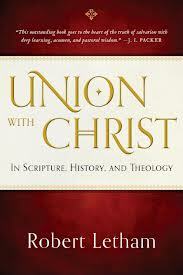 For a few more resources on union with Christ, I’d suggest Todd Billings’ book ‘Union With Christ‘, Robert Letham‘s by the same name, and Marcus Johnson’s new work One with Christ. Also, I attribute my inspiration for this to Joel Borofsky. Regarding union with Christ, this is certainly a cornerstone of classical Reformed (and Protestant) soteriology, although unfortunately ignored in popular discussions (as you noted). However, our understanding of this is distinct enough that I am still left seeing a sort of “legal fiction” in the Reformed doctrine of Justification. Yes, we are united to Christ, and yes it is by virtue of this union that we are counted righteous in him, but the deifying grace of baptism is then a justifying, sanctifying, and glorifying grace that persists throughout the entirety of a Christian’s life. The imputed righteousness of Christ’s active obedience is not “necessary,” from my standpoint, as we are actually transformed into the image and likeness of Christ through this union. We both put on Christ and are renewed from within by him. A substitution, in that sense, is not necessary, and we will be judged according to our works on the Last Day. The other point I would like to clarify is that I don’t find a call to a lifetime of repentance in the magisterial Reformers themselves lacking, but rather in this contemporary debate (and in popular discussions of salvation). My points on repentance were not necessarily offered as a corrective to classical Reformed theology, but rather as a reminder why this focus (particularly in the CT article) on “moralism” is already off on the wrong foot. 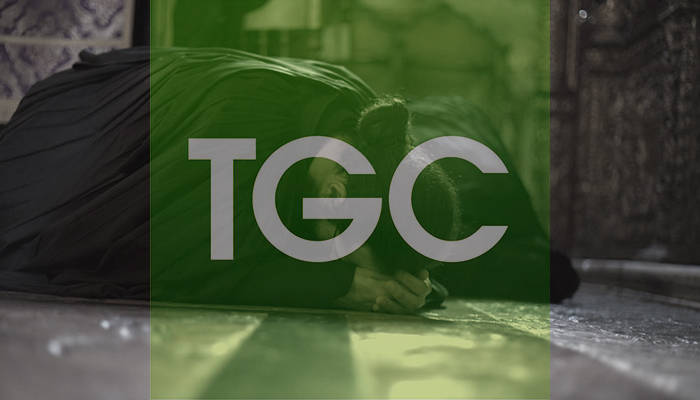 In fact, most of my moralism/repentance thought was in reaction to the CT article, not the TGC parties themselves. First, I hope all is well with you. Second, I think the Reformed doctrine of union actually affirms what you want to affirm, namely, “we are actually transformed into the image and likeness of Christ through this union. We both put on Christ and are renewed from within by him.” The difference comes in that the Reformed see the problem of sin as two-fold — both corruption and guilt — and we don’t want to emphasize either of these to the expense of the other. Whereas the E. Orthodox articulation may have an adequate answer for the former, from our perspective it does not for the latter. And it is the problem of guilt that we believe our (biblical) doctrine of the imputation of Christ’s righteousness (received in union with him) takes care of. In this respect, I confess that I find it somewhat amusing when I read charges that Reformed theology is imbalanced in the direction of forensic categories. In fact, I have found the best of Reformed theology to be supremely balanced with regard to a dual emphasis on the forensic and renovative aspects of our union with Christ. Thanks for your comments. I’m doing well, and I hope you and the family are the same! I don’t want to come across as misrepresenting the Reformed tradition on any point—and again, my main “contention” is with the CT article, which sells the farm on sanctification altogether—so I appreciate your correction and emphasis here. The paradox and struggle in the TGC debate is no stranger to any Christian expression, I’d imagine. Our own saints have dealt with it in various ways, perhaps most adequately by Mark the Ascetic in his treatise On Those Who Think They Are Made Righteous by Works (Philokalia, vol. 1). One thing I might add is that—depending how we define such terms, of course—the Orthodox Church has no issue dealing with both corruption and guilt as a result of both Adam’s sin and our own transgressions. The stain of original (or “ancestral,” as in the Greek fathers) sin is washed away in baptism, and our continual repentance (our conversion) is how we deal with our subsequent transgressions or guilt (cf. the Second Synod of Orange, sixth century). In the Orthodox context, this essentially means Confession and the Eucharist, which we receive for “the forgiveness of sins and life everlasting.” So both corruption and guilt are dealt with in the death and resurrection of Christ, we are then united to Christ in Baptism, and we then live out this new life in Christ forever. Both corruption and guilt are addressed in full. On this side of eternity, we are sanctified by the liturgical life of the Church and our participation in it—a renewed experience and participation in the life of Christ, and a continual journey of repentance, prayer, confession, absolution, and the Eucharist. Incidentally, there is an array of viewpoints on this subject (original sin, theosis, etc.) in Orthodox history, all with merit (sorry…), but I think it’s ultimately helpful to explain such doctrinal issues from a variety of perspectives. In other words, there is a time and place for legal metaphors, and a time and place for “union” ones. You’ll find both (along with others) on these issues in our tradition. But there’s no escaping that the dominant metaphor in Orthodox hymns and liturgical tradition is that of mystical union, theosis, and so on. I just didn’t want to give the idea that this is our only way of talking about such things. Guys, I just want to say thanks for keeping this both sharp and gracious. Carry on! Thanks for your engagement and clarification here. I didn’t find some of the qualifications regarding popular level Protestant understandings and more classic Protestant views, and so I felt that was worth commenting on. And yes, as you note, we’re still going to have a difference on the legal dimension to union and so forth. I think imputation (of some sort) *and* transformation are both included in union, but that’s probably a debate for another time. The doctrine of union as you described it here comes into, what seems to me, a logical conflict with imputation and other Reformed doctrines. Union as described here sounds (largely) correct (as an Orthodox Christian), but if it is, what purpose does imputation serve? If we are organically being conformed to the image of the Son by the Spirit, as you say, what sense does this make if the image of the Son is already fully imputed to us in Christ’s active obedience? These seem like mutually exclusive doctrines, rather than one being the basis for the other. Thanks for chiming in. Umm, I’m not seeing how the two are logically contradictory at all. I can get the unnecessary charge, but not the contradiction. As for what purpose it serves? Well, that would take us into a longer discussion of covenant theology, the importance of Adam’s obedience, Israel’s obedience, and so forth. To be clear, though, we are not saying that the ‘Image of the Son’ is already imputed to us. What Reformed theology generally teaches is that his righteous standing, or status as ‘obedient to the covenant’, is accorded to us. It’s a legal declaration about the kind of relationship we stand in with respect to the court of God’s justice, the covenant community, and so forth. From there, once we are brought in, so to speak, we are continually conformed and transformed into the Image of the Son. Adoption is another picture of this. You get adopted into the family through a legal action where you go from “outside the family” to “member of the family”, legally, definitively, and so forth. Now, for the rest of your life, you begin to learn how to act like, and be, a member of the family you’ve been brought into. Or again, with marriage. You’re legally brought into union with your wife/husband through a legal and physical act of union. From there, you’re spiritually and psychologically growing into the reality of being married for the rest of your life. Not really. The 3rd paragraph, the metaphor to marriage, is absolutely appropriate and I agree with its applicability to our life in Christ (and, in fact, as one of the sacraments which empower that life). But our adoption is just as much matter of organic union — in the waters of baptism — no less than our sanctification thereafter is also. As for obedience to the covenant, union with Christ by the Spirit is what enables actual obedience to the (new) covenant. The contradiction is there: is obedience imputed to us by faith, or is obedience the fruit of organic union with Christ by faith? These are mutually exclusive schema. Obedience can’t both be fully imputed, and something that we grow in. Also, there is no contradiction in saying that we are included in Christ’s obedience w/ respect to standing with God, *and* that our subsequent obedience is the fruit of organic union with Christ by faith. The first has to do with justification and the second with sanctification. They simply are not mutually exclusive schema considered in that fashion. Exhortations to this effect can be multiplied, of course. Biblically, there is no contradiction between the “already” and “not yet” aspects of salvation. They go hand in hand. We are dead to sin, and we are dying to sin. We are righteous in Christ, and we are growing in righteousness. Derek, I’m in the midst of reading Burke’s Adopted into God’s Family so when I saw your “adopted” metaphor was very happy! Also, these comments are such a great example of fruitful and respectful discussion. As someone with Orthodox family, this is particularly encouraging and informative. I rarely reblog, but when I do it is too important for me to pass up. Derek Rishmawy does a fine job responding to Martini’s exposition of the Tullian fracas. Quite an interesting discussion. The Reformed view and the Orthodox view on sanctification are so much better than most of what is going on (especially) here in American Evangelical churches. We can’t speak for you guys, but we hold the view that Christ does it all for us. That the Lord through His kindness, leads us to repentance. And that our repentance isn’t even where we ought look for proof that we are sanctified. This short sermon says it much better than I, and it also highlights the freedom that we have as (centrist) Lutherans, in looking to the external Word and sacraments (same thing)…alone. I think you’ll get a kick out of it. Great post and discussion! It is nice to see cordial, fruitful dialogue on a blog! I would add to Jonathan’s comments that the vital-affective category of the Active obedience of Christ as the formal cause of sanctification as we are united to Christ (given through the Sacramental Word) provides the proper transition and relationship of the legal to the transformative and beatifying through the personal. DA Carson has shown how this sanctification of “Christ lives in me” can more accurately be translated “Christ lives FOR me” related directly to the active obedience of Christ as it pertains to justification. Those works we participate in are the works of God – in the Father, by the Son, and through the Spirit – as the Triune procession of grace causes us to enter into God’s own light and life. Christ’s very life becomes our life as we die and are raised with him in the heavenly places and given the good works as the Father pours forth his abundance by the incarnate Son through his Spirit. This vital activity has a forensic aspect that is meant to safeguard the triune action from being placed in opposition to a monadic conception of divine-human agency, though many modern ‘Reformed’ spokespersons fail dramatically in this regard.